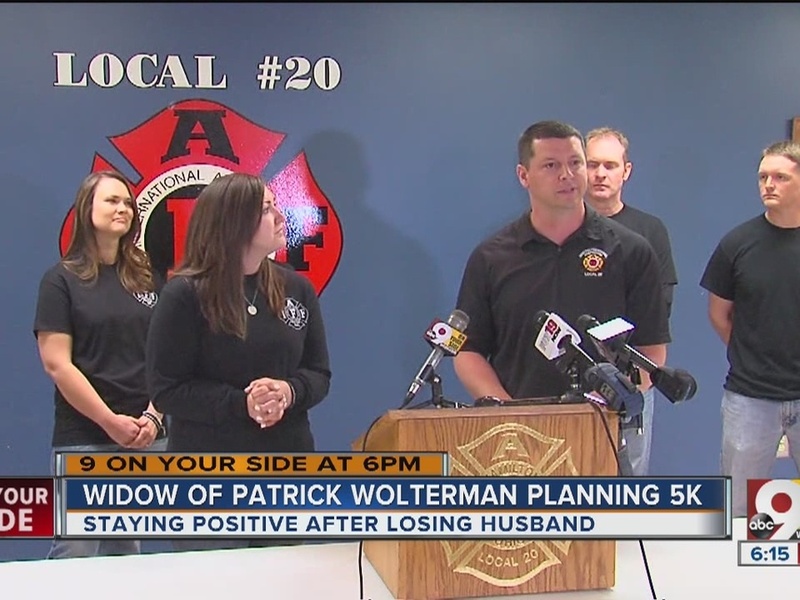 HAMILTON, Ohio – Bre Wolterman, widow of 28-year-old Hamilton firefighter Patrick Wolterman who died Dec. 28, 2015, while fighting a house fire caused by arson , is organizing a 5K event to honor the life and sacrifice of her late husband. The " Party Run Walk for 86" 5K is set for 9 a.m. May 14 at the fire station on Erie Boulevard in Hamilton. Wolterman explained that the name for the event comes from a desire to use her late husband's initials P.R.W. and badge No. 86 in the race. "He always liked to joke around. 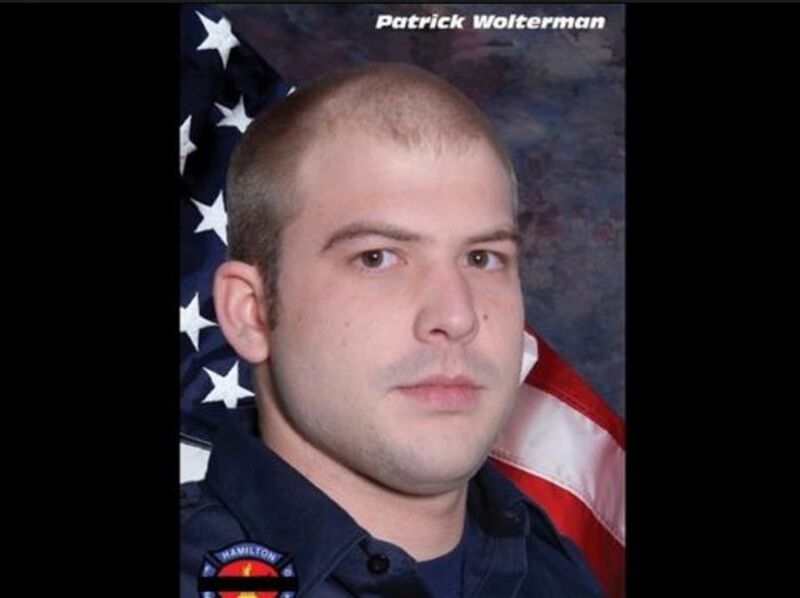 He was always watching stupid YouTube videos and making others laugh," Wolterman said. "That’s what Patrick would want. He would want us to have a good time and party a bit." Watch Bre explain the 5K race's name in the video player below. She said a group of about eight firefighter wives in Hamilton are working on planning the event, and others will volunteer. They were coming up with "important words" like pride or rescue for naming the event, but those didn't set right with Wolterman. "My husband was not a very serious person, and I got hives thinking about having a serious run in his honor," she said. Proceeds will offset the cost for the Hamilton Fire Department Honor Guard to represent Patrick at the National Fallen Firefighters Memorial in Maryland and the International Association of Firefighters Memorial in Colorado, according to Tony Harris, president of the IAFF Local 20. Register for the race at the website here . It costs $25.86 for runners age 15 and up to participate, $8.60 for ages 5 to 14 and anyone under age 5 is free. Harris said about 475 runners have already registered to participate. "That day will be an important day for us to remember Pat and some of the not-serious things about him," Harris said. "We’ll go run a couple miles in honor of him." Watch Bre Wolterman explain the 5K's purpose and name in the video player below. Patrick was a 2005 graduate of Roger Bacon High School in St. Bernard, Ohio. He worked at the Colerain Township Fire Department from 2008 to 2015 and at the Fairfield Township Fire Department from 2014 to 2015, and he earned an associate degree in fire service from the University of Cincinnati in 2011. The Woltermans were married in May 2015.